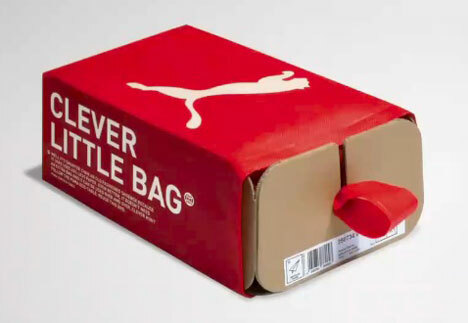 Puma, in collaboration with fuseproject, has developed one Clever Little Bag. I don’t know what is more shocking, the amount of waste this new concept saves, or learning the numbers on how much waste a shoe box accounts for in the first place!! Looks like NIKE’s Considered Design shoebox has some competition!! Sometimes it is the simplest ideas that can change the world! This entry was posted in Responsibility on May 17, 2010 by Mary Hanlon.